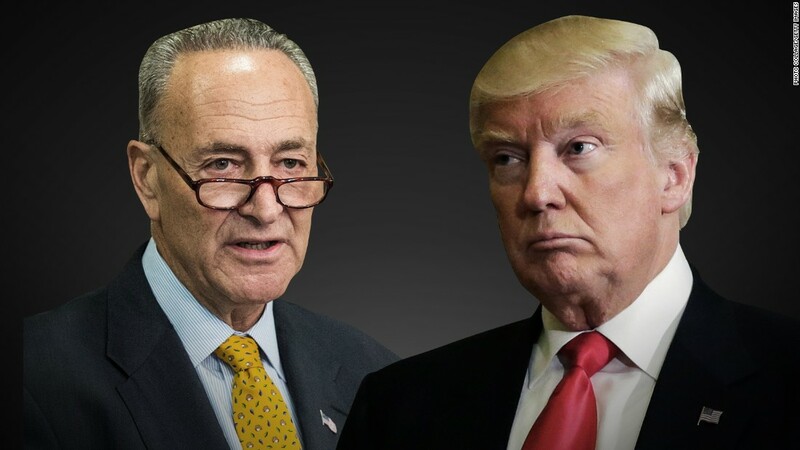 President Trump Drops Massive Order On Chuck Schumer: "No More Democratic..."
As a matter of principle, the president has been arguing against this type of individual…one who hates this country, its people, and its heritage, and culture…entering the United States in the first place. This is, after all, the perfect candidate to become a Democratic voter. Any and all America-hating people are welcomed and emulated by the Democrats. President Trump vowed Wednesday to scrap the federal immigration program that allowed the New York City truck terrorist to enter the United States, and said “animals” like the suspect in Tuesday’s attack belong in Guantanamo Bay. Speaking just before a Cabinet meeting, Trump took a somber tone in the wake of the vicious attack that left eight dead and a dozen hurt. In addition to vowing to end the State Department’s Diversity Immigrant Visa Program, which is how suspect Sayfullo Saipov came into the United States in 2010 from Uzbekistan, Trump called for swift and harsh justice. “We have to come up with a punishment that much worse than what these animals are getting now,” said Trump, who is asking Congress to end the diversity visa program. Earlier in the day, congressional Republicans also took aim at the diversity visa program. McCaul said he’s trying to abolish the roughly 25-year-old program and replace it with a merit-based one. McCaul spoke Wednesday just minutes after Trump called for a merit-based only immigration system and in part blamed Senate Minority Leader Chuck Schumer and other congressional Democrats for the program. “The terrorist came into our country through what is called the ‘Diversity Visa Lottery Program,’ a Chuck Schumer beauty. I want merit based,” Trump tweeted. “No more Democratic lottery,” Trump said in a follow-up tweet. The only diverse thing about this program, if we’re being honest, is its across-the-boards disdain for White Christians. The Diversity Visa Lottery Program ensures that only the “right” people are allowed into the country, and by “right” people, they mean non-White non-Christians. A merit-based system would delete a racist system that is purely based on the color of someone’s skin, or eliminate a bigoted system that only rewards those who are not Christian. If the Democrats want to end racism and bigotry, the first thing to go should be this diversity lottery nonsense.